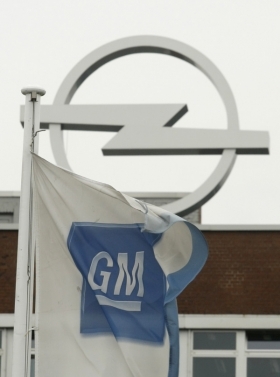 HAMBURG -- General Motors Co.'s Opel division plans to start selling cars in Israel as the German brand expands worldwide to markets including South America and Asia, the head of GM's European operations said. The carmaker will start deliveries in Israel "fairly shortly," and begin sales in Argentina and Chile this year, Nick Reilly, president of GM Europe, said at a meeting with journalists in Hamburg late Thursday. The division is also sticking to plans to sell cars in China and Australia in the future, he said. Opel, which GM considered selling as the company was working through a bankruptcy in 2009, was profitable in the first quarter of this year. Reilly reiterated that Opel, which has its headquarters in the Frankfurt suburb of Ruesselsheim, aims to break even excluding restructuring costs this year. "It's a reasonable target to have," even as "there are a few headwinds we have to face," Reilly said. The company forecast on March 1 that the western European auto market will grow by 1 percent to 2 percent this year, and that its own sales will be helped by new models such as the revamped Meriva minivan and the Astra Sports Tourer. Opel and its sister U.K. brand Vauxhall added market share in Europe in the first quarter, accounting for 7.3 percent of sales compared with 6.9 percent a year earlier, according to industry figures. Opel "had a particularly good month in April" in Germany, Reilly said. "It tells us people are coming back to the brand. It tells us that we are back to strength again." Opel grew German sales in April by 20.9 percent to 20,807 units. The brand sold 80,769 cars in the first four months. In China, Opel is likely to have a "point something" market share, selling between 1,000 and 10,000 cars, as it's positioned as "a relative niche brand" because of German engineering and European style, he said. Opel builds cars at three factories in Ruesselsheim, Eisenach and Bochum in Germany, and makes engines and components in Kaiserslautern. There are likely to be "forced redundancies" in Bochum this year after the company failed to get enough volunteers to quit as part of a plan to reduce the workforce, Reilly said. Opel "hasn't changed its plans," he said. "We need to lose those people." The carmaker won't add capacity in western Europe through new factories, Reilly said. The objective is to fill up volume at existing plants as long as Opel's market share increases, he said.